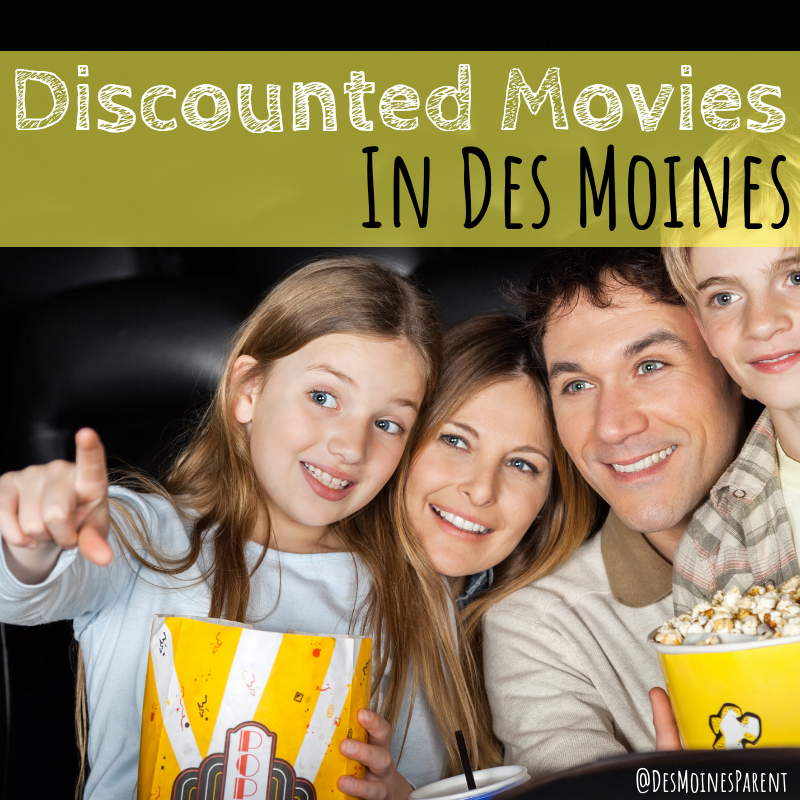 Where can you find discounted movies at Des Moines movie theaters? Our family loves to attend movies at the theaters. It can get pricey pretty quickly that is why we love to ask for gift cards when special occasions arise. Even a gift card can go pretty fast. I have broken down the best times and days to see a movie at a theater. 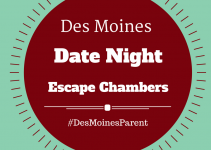 Also, some of our favorite kid and family perks at each movie theater in the Des Moines area. $4.99 per ticket (plus tax) for a digital movie before 4 p.m.
Tickets are $5 per child under the age of 12 all day, every day. Become an AMC Stub Member and enjoy $5 movie tickets (plus tax) all day on Tuesday’s. 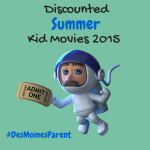 During the Summer months, they offer special discounts for kids movies. Keep your eyes open! Before Noon showings are $7 per ticket in traditional theaters only. B&B Theaters is the newest movie theater to the Des Moines area and it is pretty awesome! Our favorite feature is Screen Play which includes a play area INSIDE the movie theater. They also offer a large bar, restaurant, huge arcade, and bowling! You can easily spend an entire day playing and having fun at this new theater located in Ankeny, Iowa. Every Tuesday Digital Cinema movie tickets are $5.25 per ticket. There is a $3 upcharge for XD, 3D or 4D theaters. Early Bird is $7.25 per ticket for shows that are before 1 p.m. There is a $3 upcharge for XD theaters. We love Century Jordan Creek because it is located in the mall near the food court. It is easy to make it a fun day when you plan a movie at Century Jordan Creek. Shop, let the kids play in the play area, get free fudge from Scheel’s, and eat lunch at Zombie Burger. All theaters offer luxury loungers. Every Tuesday Digital Cinema movie tickets are $5.25 per ticket. There is a $3 upcharge for XD theaters. 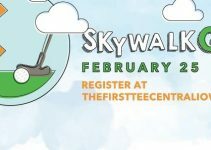 Early Bird is $6.50 per ticket for shows that are before 1 p.m. There is a $3 upcharge for XD theaters. Take a look at our fun visit when they opened a few years ago. They offer a fun arcade and bar for adults. Every Tuesday Digital Cinema movie tickets are $4.75 per ticket. Early Bird is $5.75 per ticket to shows that are before 1 p.m. This movie theater located in Ames, Iowa is near two BBQ favorites Jethro’s and Hickory Park. Every Wednesday, all first run 2-D shows are $5.25 per ticket. 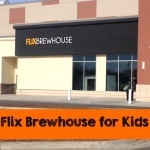 Flix Brewhouse offers Family Programming including Flix Jr. which offers family-friendly movies for as low as $2 per ticket. Flix Brewhouse is one of our favorite movie theaters in Des Moines. We love that we are able to order delicious food and sip on craft beer right from our seats. We also enjoy attending Family Programming movies on weekend mornings where we can try their tasty brunch items! 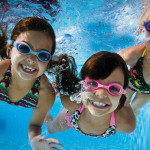 They regularly offer fun events that include discounted tickets and/or meals or drinks. 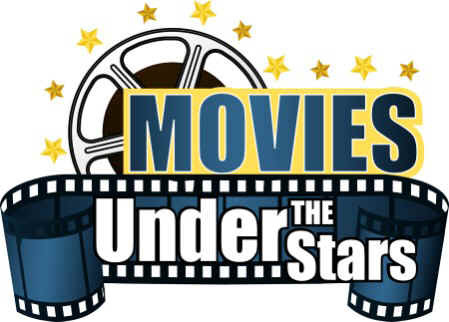 Every Tuesday $5 per ticket for 2D and $7 per ticket for 3D. Buy any beverage and receive a free 46-ounce bag of popcorn. Every Tuesday $5.50 per ticket for 2D and $7.50 per ticket for 3D. Buy any beverage and receive a free 46-ounce bag of popcorn. Every Monday at 10:15 a.m. the Valley Community Center offers a free movie. Popcorn is also served free of charge. Take a look at their event calendar to see what movie is being shown each week.